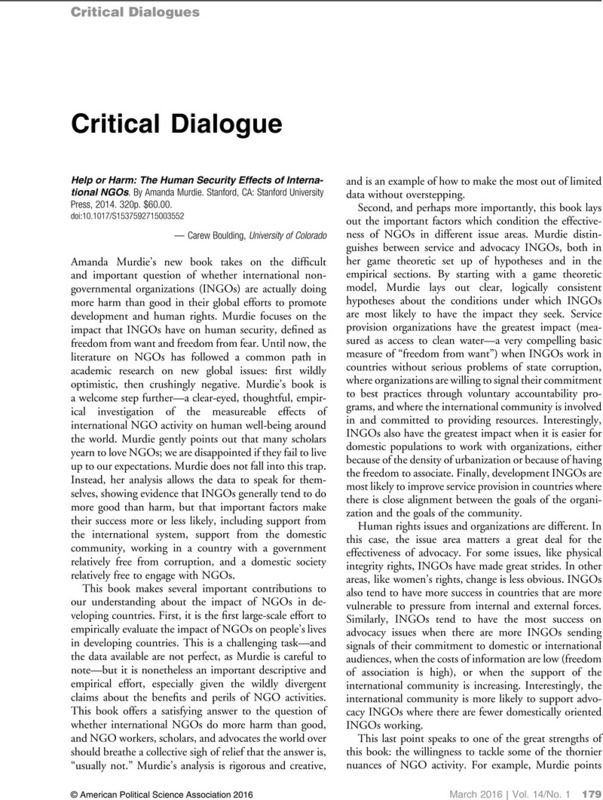 NGOs, Political Protest, and Civil Society. By Carew Boulding. New York, NY: Cambridge University Press, 2014. 232p. $110.00.